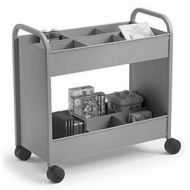 Laminate wood construction book trolleys design to match with your interiors colour. 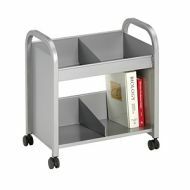 Flat shelves make this little book truck a great mobile display. 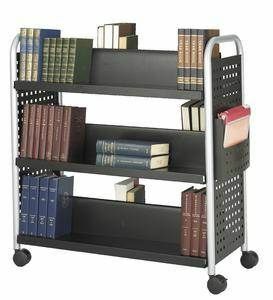 Exclusive casters and end panels with accent ribs mean no rattles, no distractions! 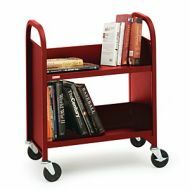 Extend the size of your work area, librarians choices. 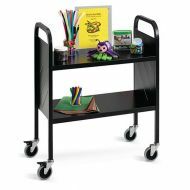 Popular book trolley choices for schools libraries, economical and functional. 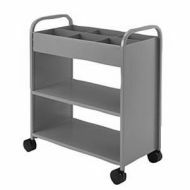 2 locking wheel. 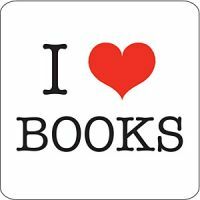 RFID Tag Graphic Overlay "I Love Books"